Jeff Schools is the Director of Digital Content for NEWS CENTER Maine. He supervises and helps develop content strategies for NEWS CENTER Maine and its website, mobile app and social media platforms. Jeff came to NEWS CENTER Maine after having spent a decade in the music business and another decade as a Maine small business owner. Jeff has degrees from Kaplan University in Communications and Business Administration. 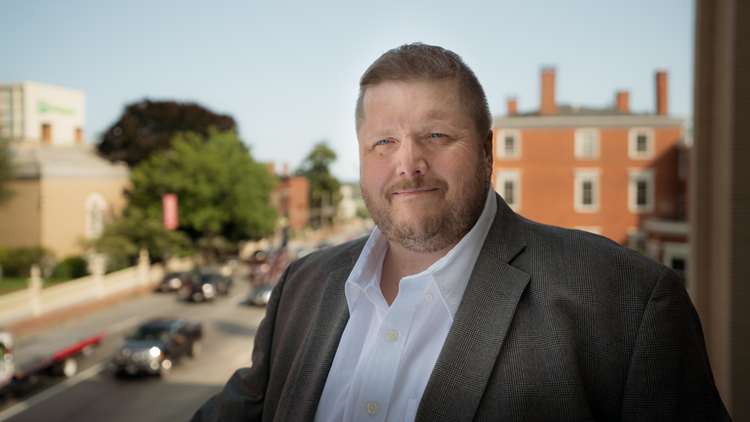 Jeff, along with two partners, developed the Maine Sports Network, a sports-based website and radio entity that was emersed in Maine with a heavy focus on high school sports. During his time with MSN, Jeff helped produce and broadcast more than 300 Maine high school sporting events on the radio. Jeff was also co-founder of the Weekend Warm Up sports radio show, heard locally on 96.3 The Big Jab. Jeff was the recipient of the 2011 Maine Association of Basketball Coaches Ron Brown Award, recognizing excellence in the promotion of Maine basketball. Jeff is also a Maine Association of Broadcasters Digital award winner. Jeff is a lifelong Mainer and proud South Portland Red Riot. He is married, sharing his life with wife Kate for almost 25 years. The couple has two daughters Hannah (deceased 1995) and Katie, now 21 years old, who most recently attended Goucher College in Baltimore. He loves his Boston sports, especially his Red Sox.